Are there infinite parallel universes, and if so, do we move between them? Does the universe shape itself to meet our expectations? Does the territory determine the map, or the map the territory? Thanks to The Daily Grail’s news briefs, I recently learned about something called the “Mandela Effect.” The term describes a phenomenon where large numbers of people remember past events that never happened, and takes its name from one of these alternate memories, that Nelson Mandela died in prison in the 1980s, prompting riots in Africa. What separates these alternate memories from just misremembering or being ignorant of history is (1) they are shared, down to the details, by thousands of people; and (2) for the people who have them, the memories are often embedded in the social matrix of their lives–they remember the discussions they had with others about the events, for example–and consequently, questioning these memories means questioning all the memories they are embedded in. It’s not easy for them to dismiss the memories as just an error. There are many of these alternative histories–here is a list–and it so happens that I share one of them. I remember having some children’s books featuring the The Berenstein Bears. I can remember my mom reading them to me, and I remember she pronounced the name Bear-en-steen. (She says she remembers it the same way. I specifically asked her to tell me how the name was spelled, and she said B-E-R-E-N-S-T-E-I-N.) Then I can remember, when I was a little older, wondering if it shouldn’t be pronounced Bear-en-STINE, since after all it appears to be a Germanic name. I started reading at age 3, I could read cursive from at least the 1st grade (the Berenst#in Bears name is always written in cursive script), was always a really good speller, and I read and re-read many times a Berenst#in Bears book in which the daughter has her first day at school. For some reason I really connected empathetically with that story. So I know I saw the word myself and am reasonably confident I would have remembered the spelling correctly. But as an adult I started hearing it pronounced Bear-en-STAIN, and assumed it was just an idiosyncratic pronunciation of Berenstein. 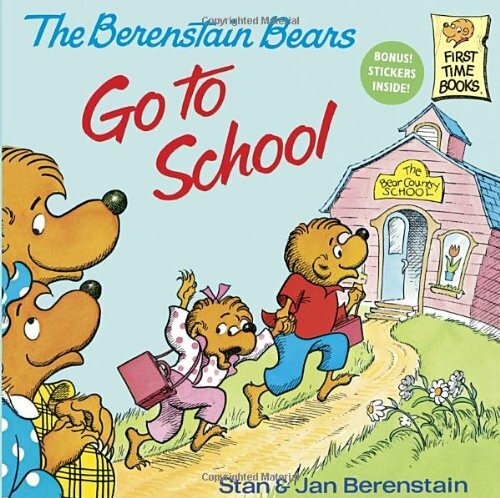 When I first saw it written BerenstAin, I assumed it was a misspelling based on that idiosyncratic pronunciation. Later, I thought that, as implausible as it seemed, maybe I had just been mistaken in thinking it was spelled BerenstEin. Now I find out there are many, many other people out there who, like me, remember reading The BerenstEin Bears books as kids. I am not the least bit surprised, with our incompetent educational system in the process of melting down and the shocking level of ignorance about history among the general public, that lots of people in the would be in error about many facts. Many of the alternative memories listed at Mandela Effect sound to me like things that might have been easily mis-heard, misspelled, etc.–for example, was the Sara Lee jingle “Nobody doesn’t like Sara Lee” or “Nobody does it like Sara Lee”? I remember trying to figure out what that jingle was saying years ago when it was current. I couldn’t make out the words either way, I’m still not sure what it was supposed to be saying, so it’s easy to imagine people might have heard it one way only to find out later it was in fact the other wording all along. Reece, author of the Wood between Worlds blog, points out that many of these Mandela Effects center on things that happened far away. Americans are not exactly known for our in-depth knowledge of contemporary African cultures, so it’s not entirely surprising that a lot of us assumed Mandela died as soon as he stopped being talked about all the time on CNN. Besides, memory is notoriously unreliable (cf. the classic example of eyewitnesses in criminal cases). And sometimes there really are alternate versions of things. Maybe ten or twelve years ago, my mom and my aunt (separately) watched the movie How Green Was My Valley (1941) on TV. Neither had seen it in decades. They both were perplexed that it had a different ending than they remembered from when they saw it in the theater as kids. It turns out that two different endings were made, one bleak ending that follows the book, and one happy ending for 1940s American tastes which was shown in theaters when my mom and aunt were young. On TV a decade ago, they showed the depressing cut. But in that case, the existence of two endings is historically attested, so my mom’s and aunt’s confusion could be easily resolved. Indeed, nothing would surprise me less than to find out that Hollywood would change their stories (e.g., the titles or endings of movies–the subject of many Mandela Effect claims) and then blatantly deny it. Same goes for Madison Avenue, politicians, 24-hour news networks, and sadly, a lot of scientists. What really blows my mind is that so many others (ostensibly half a million people in the case of the Berenst#in Bears) have the same seemingly mistaken memories, even in cases that don’t seem like simple misunderstandings, and that many of the memories revolve around the kind of trivial details that never make it into the history books. Needless to say (but I’m saying it), the implications for how we understand history, memory, magic, divination, and the entire nature of the universe are huge. Because if these alternative memories aren’t just mistakes, it means that the change happens retroactively, to rewrite history so that the bears were always BerenstAins all along. I think all of us who are not reductionist-scientistic-materialists are pretty accustomed by the time we reach adulthood to constantly being told we’re wrong, and to never seeing our metaphysical perspectives represented in official statements on reality (e.g., in school, government, etc.). It’s annoying, but not exactly a surprise. I wonder if this makes us a little less easily convinced that we just remembered wrong? Maybe we’re just a little bit more likely to say, I know what I know. But the Mandela Effect doesn’t only happen to us weirdos. The usual proposed explanations for the Mandela Effect include: (1) everyone with counterfactual memories is just wrong; (2) parallel universes, in which it is apparently possible to move from one universe to another and never realize it until somewhere down the road, some little detail doesn’t match up; and (3) paradox caused by time travel within the same universe (think Quantum Leap). I don’t find any of these remotely persuasive and I have my own hypothesis. I suspect that the Mandela Effect is like synchronicity, in that the significance is all in how it affects the experiencer. In other words, it might look like coincidence (or ignorance, or credulity, or faulty memory…) to the outside observer, but the person having the experience knows what they saw and their world is a little unraveled when they find out they were “wrong.” They are forced to question not just the experience itself but the entire context they remember around the experience. I’m sure some people are just mistaken, probably 99 out of 100, but if even one of us is right, how do we explain it? In other words, why aren’t there Mandela Effects for literally every human experience? I don’t buy the Quantum Leap argument either. (For those who didn’t grow up in America in the 1980s, Quantum Leap was a show about physicist Dr. Sam Beckett, who is bounced around to temporarily occupy other people’s bodies at different times and places, seemingly at the will of an unnamed omniscient force, “setting right what once went wrong.”) But there are a couple of glaring questions: Sam Beckett went back to save people from getting dead or discouraged so they could make Important Discoveries or find True Love and stuff. Why would anyone bother changing the spelling of some children’s books or the lyrics of commercial jingles? I mean I know about the Butterfly Effect but I have a hard time believing the spelling of the Berenst#in Bears had a huge bearing on the future. Our putative time traveler would have to have gone to Ellis Island in the 1890s to change how some immigration clerk transcribed the name of the Family Formerly Known as Berenstein to affect the spelling on the children’s books. It would require deliberate intent, not just an accidental typo (as has been suggested by supporters of this hypothesis). And why do some–but only some–people remember the pre-change version of reality? I literally cannot think of any reason why that would even be possible. It also presupposes either a lot of time travelers or one time traveler who jumps around a lot to make inane alterations, like inserting turkey legs into portraits of Henry VIII. This time traveler would be one jerk of a trickster. (Q, perhaps?) Not to mention, the possibility of time travel has yet to be demonstrated, let alone the creation of technology that would facilitate it. A much more interesting possibility, to my mind anyway, is that our universe–or rather, the parts of it we access with our embodied human minds–is a holographic or virtual reality, in which each person’s reality partly overlaps with that of every other person. (And of course I mean this in a metaphysical, gnostic sense, not in an aliens-created-a-fake-universe-all-for-us sense.) We know this latter part is effectively true because of the influence of subjective experience, and we also know that people from different cultures not only have different worldviews in the conceptual sense, but actually phenomenologically perceive the world differently. Thus, some perceptions are influenced by consensus while others are not shareable and thus theoretically impervious to consensus. 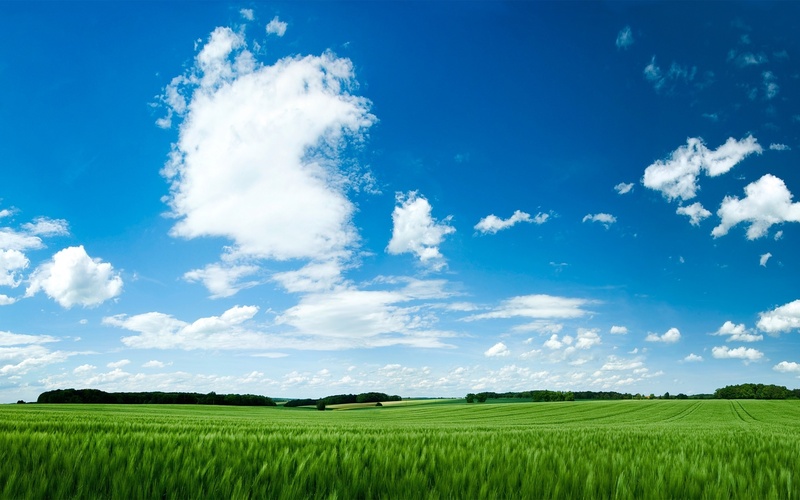 For example, by consensus we all agree that the color of the sky is called “blue,” however, we have know way of knowing whether what I perceive as “blue” is the same as what you perceive as “blue.” Consensus can affect the naming, and even to some extent the actual perception, but it will never be possible to know for sure if the perception is shared and thus it might be totally independent. When we think of consensus though, there is what we communicate through language (e.g., with other members of our culture), but perhaps there is also content communicated in other ways? Something like a Zeitgeist perhaps, or even a Volkgeist, if that’s a word. Is it possible that people “remember” things that did in fact happen, but which the perceiver could not have actually experienced at the time, accounting for experiences like remembering an alternate ending of a film seen in the theater, which alternate ending was never released in theaters but did appear later on the DVD release? Could counterfactual memories be contagious? Or, since time is not actually linear, could people be remembering things they actually haven’t experienced yet, but will in the future? Questions abound. For my part, the consensus reality of the BerenstAin Bears has nearly got me believing that I really just remembered it wrong. This means that I have the rare opportunity of consciously witnessing the process of my memories being rewritten. Unless I resist it, in a few years I may not only be convinced that it was always BerenstAin, but have forgotten that I ever saw BerenstEin. It’s not only our present perceptions of sensory stimuli that are constrained by our mental models, but also our memories. The map is not the territory, but what’s on the map partly (though not, of course, completely) determines what parts of the territory can be perceived. Which is why it pays to have as big, as weird, and as diverse a map as possible. It also reaffirms that we need to be very careful about how much we let our reality be shaped by consensus, and choose our company wisely. The Mandela Effect reveals itself to really be an internal Rashomon Effect. The Berenst#in Bears are not a glitch in The Matrix, a government conspiracy, a “John Titor” typo, or a universal switcheroo. They are a secret tunnel leading out of the Black Iron Prison. They are a rabbit hole inviting us to jump in. They rock our world out of all proportion to the significance of the memory because we need to see how easily rocked (because largely fictional and contingent) our worlds are.